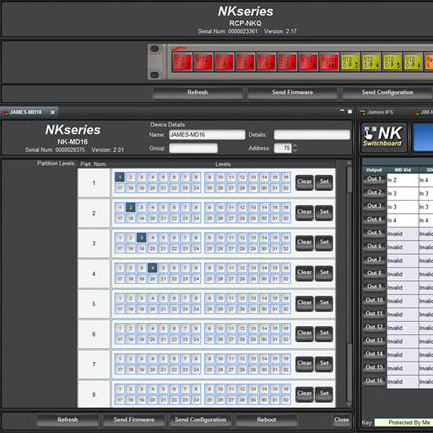 The NK-IPS Network Bridge is the external gateway to all NK Series devices for configuration, firmware upgrades, monitoring and remote control. 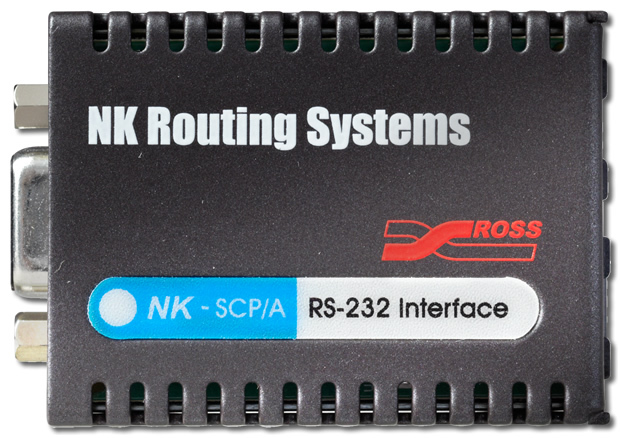 The NK-IPS provides an Ethernet port that connects to a LAN or directly to a computer. This port is used to communicate to a web browser or DashBoard Control System to configure and control the NK Series Routing System. NK-IPS is also equipped with a buffered 8-port T-Bus hub. T-Bus is the RS-485 based communications system the NK Series uses to communicate between devices such as control panels and frames. Each T-Bus port can support multiple devices in a daisy chain configuration. Alarm status and monitoring is displayed on the NK-IPS Online Devices webpage enabling users to locate errors and troubleshoot problems.